Baptism is a sacrament of the Christian church marking the entry into the body of Christ. Baptism often marks the beginning of our journey of faith and many times takes place before we can even remember, while we are still young children. If you are interested in being baptized, or in having your child baptized, please contact Pastor Chris for more information. 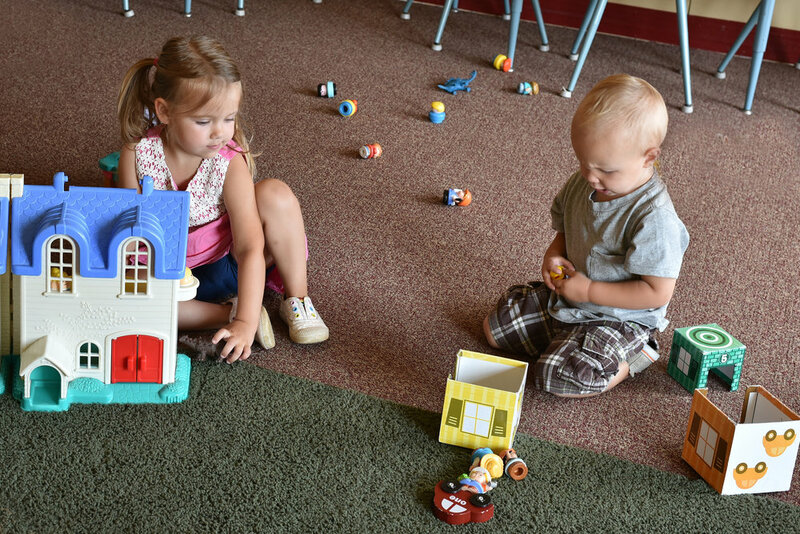 Kids Connect, our children’s ministry at St. James, includes many opportunities for children to learn about God’s love and make a connection with others. Offered at 9AM concurrent with the contemporary service, this program is for children aged 3 through 6th grade. Our preschool-kindergarten crew lessons revolve around three basic truths: God Made Me, God Loves Me and Jesus Wants To Be My Friend Forever. Our elementary kids apply lessons to life applications that help them remember to make the wise choice, to trust God no matter what and to treat others the way I want to be treated. Check-in through the school doors before worship starts and start your day in the worship space with family. We provide nursery care during our services so that parents with babies and toddlers may be blessed by a well-deserved rest and opportunity to hear God’s word. We invite adults and teens to volunteer to serve in Nursery once per quarter and use a self-scheduling sign up application to manage the service. When we celebrate Holy Communion in worship, children are welcome to approach to be blessed. During their 5th grade year, our young friends will learn about and receive the Sacrament of Holy Communion. Hosted one week each summer, this is a fun, interactive way for kids to learn about Jesus and His love for us! We split our VBS into a morning preschool session and an evening grade school session. Every themed event is packed full of music, games, snacks and bible stories. We also invite parents to participate as a wonderful way to engage in the lessons your kids are learning and make lasting memories. Stay in touch with our Children and Family Ministry! See what we’re learning and what’s happening! We want our children to know that we all need Jesus! St. James Youth Ministry is for youth in grades 7-12. Confirmation take place on Sunday mornings and is for our Middle School youth (grades 7 & 8). It is an in-depth look at Christianity and what it means to be a person of faith. We have bi-weekly youth group gathering for our High School youth (grades 9-12). Together we explore the challenges and experiences of life and examine how we as can best life a Christ-centered life. We have monthly events and fundraisers throughout the year. 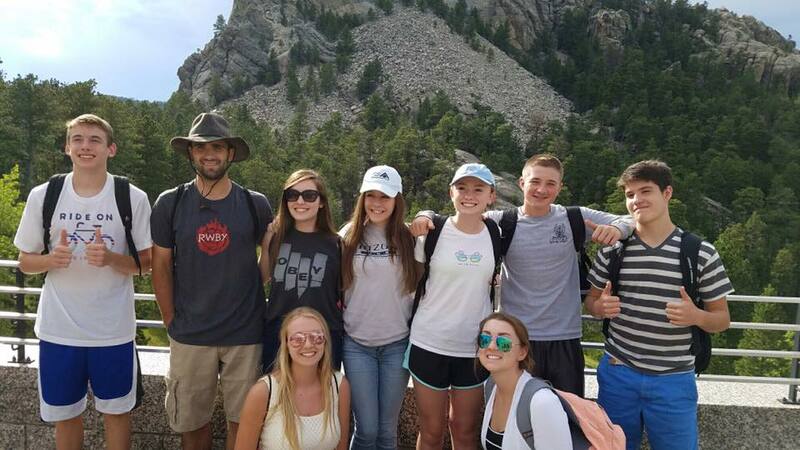 Each summer we take a mission trip that includes involvement in the ELCA National Youth Gathering, a Synod led trip to South Dakota, and a locally focused mission trip. ALL are welcomed to join us for any and all events. Our confirmation program is for 7th and 8th graders who are looking to affirm the promises that were made over them in baptism. This is a time of learning and growth that aims to equip our young people to be followers of Jesus in this world. Our Senior High Youth Group is for all high school youth grades 9-12. This group meets regularly to grow in community and faith, as well as to have fun and serve the larger community. Our youth love to travel to various places to be the hands and feet of Christ to those in need. Most recently they have traveled to Houston, Texas and the Black Hills of South Dakota. We believe in providing opportunities for families to grow in faith together. Join us for our seasonal family events and discover opportunities to have fun and learn together. Check our calendar for Halloween Trunk or Treat, Advent Craft Expo, our annual Easter Egg Hunt and more! See our monthly updates under Janet’s Messages! We love getting together! We have small groups defined by interests and life stages, check out a few and find your fit! Men’s - Laugh, discuss how to apply the sermon of the week, and hang out at a local tavern. Moms - is open to all mothers who need a connection with other mothers to share in each other’s joys and concerns, learn together and pray together. This group meets in host homes - babies and toddlers welcome! Bible Study - Looking to delve deeper into the Good Book? We gather to discuss and learn and often have more than one study running. Contact us for more information! Book Group - Fellowship of kindred book lovers who enjoy reading and escaping into great stories. SOUL - [Sisters of Unity in the Lord] a social, spiritual, service group for women of all ages to make new friends, support each other’s growth in faith, and have fun. Check out our calendar for more information about the next time these events occur.